Discussion in 'Console & PC Gaming' started by GTPNewsWire, Jan 16, 2019. 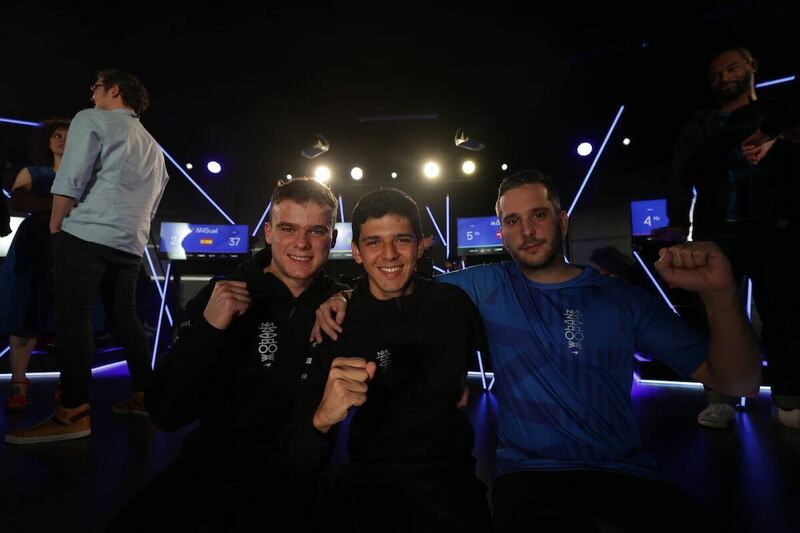 This article was published by Kyle Patrick (@SlipZtrEm) on January 16th, 2019 in the Esports category. This article was published by Andrew Evans (@Famine) on January 17th, 2019 in the Esports category. Rooting for our boy Igor. Do the GT community proud! This article was published by Kyle Patrick (@SlipZtrEm) on January 17th, 2019 in the Esports category. ivann, khkenni and potvinsuks like this. Great work, Igor. I wish I saw the driving because a multi-sim tournament sounds really interesting. Iiish! Igor Fraga won again? Yeah it's a totally new way to strategize. Igor took the lead and never looked back. I caught the end of the final, and then went back and watched the previous day. Is it just me, or did they make the actual racing seem very boring. It seemed hard to follow who you were looking at during the races as sometimes the colouring of the cars was very subtle, and the actual races didn't look that exciting. The inset of the driver and data felt a bit too big on screen. They seemed to be all serious and measuring things other than the race results, and then get the to race on a mobile game on a pad. The heartbeat monitors seemed a good idea until you realise that some of them were not working at various times. There are other bits and pieces that I could criticize, but I'll leave it there. Well done to Igor Fraga, but I doubt I'll watch this again if it is done in a similar way in the future. BRAZIL WINS!!!! BRAZIL WINS!!!! YEAAAAAAAH!!!! XRaider and Auditore like this. Now, put the man in a real f1 car. Cerebral303 and I_Leak_Oil like this. Legend! This guy is going to go far. The fact Igor not only wins, but leaves everyone for dust, he must literally be from another planet, an alien amongst aliens. And already a proven winner in real life, why hasn't he been snapped up on a motorsport contract yet? I look forward to seeing his career grow and grow. The Cake and davidt33 like this. I think people like that shouldn't be allowed in the finals. It should be about actual gamers on their couch getting to the big leagues. J24681357, LeGeNd-1, wajdi1977 and 1 other person like this. Don't know if you were being sarcastic but he is a real life racing driver,he races on Formula 3 i think. Igor is not impossible to defeat,there are people in sims that can race very close to his pace like Mike Hizal in GT Sport,and Igor lost two races in the GTS championship because he made some mistakes.He's not invincible. Why? This isn't GT Academy. Being fast in the real world doesn't necessarily always translate to being fast in a game. Igor has tremendous skill in various disciplines, be it real-world or, as Shadow proved, multiple different racing game titles. It's a level of dedication to the craft, regardless of what the actual challenge is, that sets him apart. J24681357, FA Racing, I_Leak_Oil and 1 other person like this. J24681357, Sander 001, The Cake and 1 other person like this. So, I watched both the semi-final of McLaren Shadow and this 2-day final and have some comments about it. First. 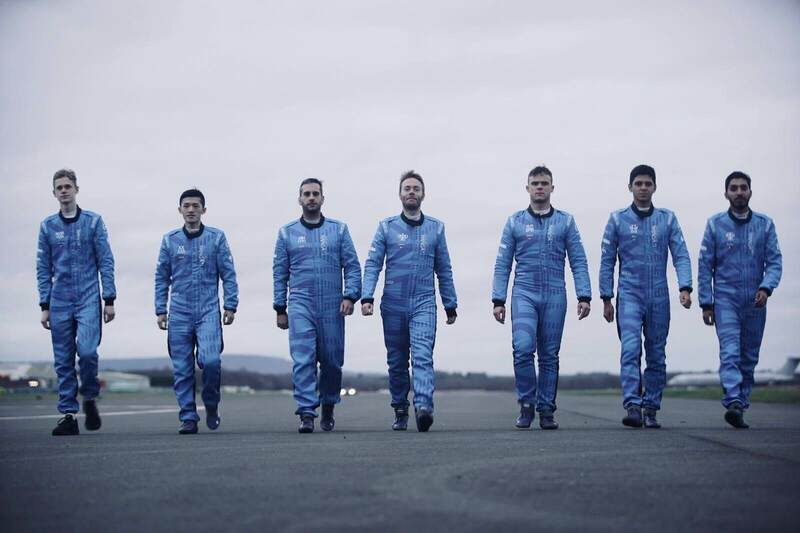 I just got back to racing and racing games after a break that I spent with Wargaming’s titles, so I missed out on many things but in a gaming podcast-related Telegram channel someone linked to one of the GT Sport events (I think it was the semi-finals). I was immediately impressed with the whole package: GT Sport (don’t have a PS4, only played a tiny bit of GT5 and GT6), the production quality and the commentators, Jimmy Broadbent and Chris McCarthy. After watching the finals I went back and watched all the Superstar streams and the live events (apart from the Asian finals, I couldn’t bear with the Japanese voice under Jimmy’s and Chris’s – fortunately the manufacturer’s showcase event was better). The quality of the production was even at the beginning very nice and Tom Brooks was also great next to Jimmy during some of those events. In terms of hosts, commentators etc. First, Blackpanthaa. I have never heard of him earlier and his stints as keeping his finger on the social media pulse were rather lackluster, he hasn’t said basically a single complete sentence that made any sense. I learned in the meantime that Nikki is the Formula E pit lane commentator. I haven’t seen any of that but the finals were a tad better than the semis. Still, most of the talk was about how lifechanging this event was for the winner (which I don’t doubt but was still annoying as hell to hear it for the 500th time). Then the commentators… Sure, Goldenboy is Goldenboy and I most certainly didn’t hear about Allie Tacq but they were not exactly at the top of their game. It certainly didn’t help that Goldenboy has basically no idea about cars, racing and racing games. The other guy was somewhat competent but seriously: Jimmy Broadbent. He and Chris McCarthy were actually there in the venue!!! Why were they not the ones doing the commentating? Maybe even invite Tom Brooks with his silky voice? These 2-3 guys would have elevated the event’s quality significantly. They also made a big deal about adjudication being transparent but the commentators not knowing whether pit stops are needed or not… In the semis the race in Forza was on Spa and had a mandatory pit stop. The 3 guys who qualified from Real Racing 3 didn’t pit, you could even see that Henrik had the message on screen that he got a penalty, yet no action was taken. He should have been simply disqualified from that race… This time it was a bit better but still, GT Sport’s stewards made a way better job. Forza Motorsport 7: I like Forza personally but I know it’s not everyone’s cup of tea. It’s used in the competitive scene like Le Mans Esports and of course, ForzaRC, I don’t have anything against it. I do miss other games from the roster, GT Sport is definitely one of them as it’s significantly more geared to broadcasting than Forza. Assetto Corsa would have been a great choice, too. As far as the non-racing disciplines go: they had that track day with the 570 GT4s. The broadcast was effing long and yet they didn’t manage to show what the participants did with the car, no lap times, no nothing. Seriously??? All in all, I’m glad Igor win, he clearly showed who’s boss there but the event quality was simple atrocious, expected way more from McLaren. At this point I hope that the FIA GT Sport events come back soon with Jimmy, Chis and Tom in the commentators’ booth. EDIT: forgot about this in my rant but in the FIA GTA events there was actual racing, tight fields, close competition. Here? Forget about it... not sure where they got the people from but overall very low quality, especially if you watch the semis and the performance of the Real Racing 3 guys. Bury and Sander 001 like this. If you're interested in more Esport events the Formula 1 Esports championship is pretty good and very close to GTSport's broadcast you might like that. I still don't know why GTSport wasn't added for the Mclaren event the game was made for this stuff. I know, it was mentioned in the article too I think. That is what I was refering to with "And already a proven winner in real life". As in real life cars, as well as sim racing. I was being serious. Sorry if it was unclear, reading back I can see how it could be misread, though I usually use when being sarcastic, it is hard to know on the internet as everyone is different, and I am not always serious. After everything, why at the start of this McLaren competion was he unsigned? (I might be wrong about that, but the impression I got is that he is a free agent). I'm willing to bet that was either Sony or PD's decision. It's unlikely the organizers didn't know about it, but it is likely either of the other two parties could see an event where GTS is only one of the titles used as minimizing the game's impact. 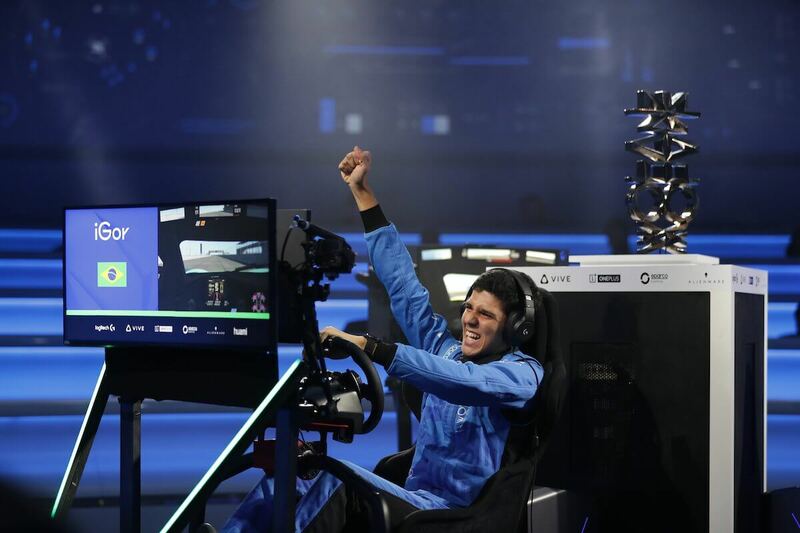 He did, but it was a contest put on by Logitech G, McLaren's main sponsor. I remember being impressed by his driving when he did a response to Jann's GT6 Bathurst challenge and he was my main reference for GTS Beta, great to see him do so well. Probably helped a lot being used to such a wheel and pedals too for this event. Japan sort of wins as well , Williams loses. This. I rather they forgot the gaming part with him and push him on their young driver development programme and see how far he can go. Maybe more young drivers will be scouted from sim games in the future. Rudy by the sounds of it will be racing in some championship this year so will be interesting to see how well he does. eRoC has also been great so far, hopefully Enzo can do really well today. Really impressive speed shown by Brendon too. He actually qualified via FM7 but maybe is a GTS player. A number of the finalists have some GT experience. Only Igor and Cho, two of the three Logitech G qualifiers qualified via GTS to reach the semi-final stage.